The Immigration and Checkpoints Authority (ICA) has announced that as of December 18, 2017, permanent residence (PR) applications and supporting documents will need to be filed online via a new online system called ‘e-PR’. No more appointments. As a result, the ICA stopped releasing new appointment slots for PR applications. Criteria unchanged. The assessment criteria and eligibility requirements to qualify for PR will not change. Access details. PR applicants will need a SingPass account and 2-Factor Authentication (2FA) to access the e-PR system. Those who do not have SingPass or have inactive SingPass accounts should make sure that they have a valid SingPass set up with 2FA. Registration takes at least five business days. Processing fees. A processing fee of SGD 100 per applicant will be charged for applications submitted through e-PR. The fee will be payable upon online submission of the application, unlike the current manual process, where fees are payable once a PR application is approved. Applicants who have already secured an appointment can still submit their application in person and will not be affected by the new fee structure. They can also opt to submit online without the need to secure a new appointment, but will need to pay the SGD 100 processing fee. Impact on foreign nationals. Foreign nationals who seek to apply for PR should contact their immigration professional to ensure that they are prepared to meet the requirements for filing their applications online, and they should prepare complete and clear documents, as there may be fewer opportunities to correct documents submitted on the online system. 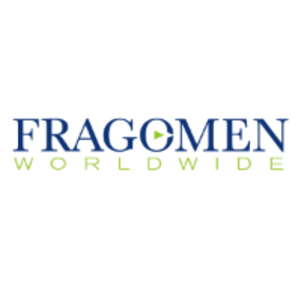 Fragomen will monitor the situation and inform clients of further developments. This alert is for informational purposes only. If you have any questions, please contact the global immigration professional with whom you work at Fragomen or send an email to SGInitiations@fragomen.com.